Located in the north, Calvi’s white sandy beach is a popular choice with tourists, and there’s a good reason why. With a gently shelving seabed, shallow clear waters and a whole town’s worth of facilities right on the doorstep, it’s no wonder it’s a firm family favourite. 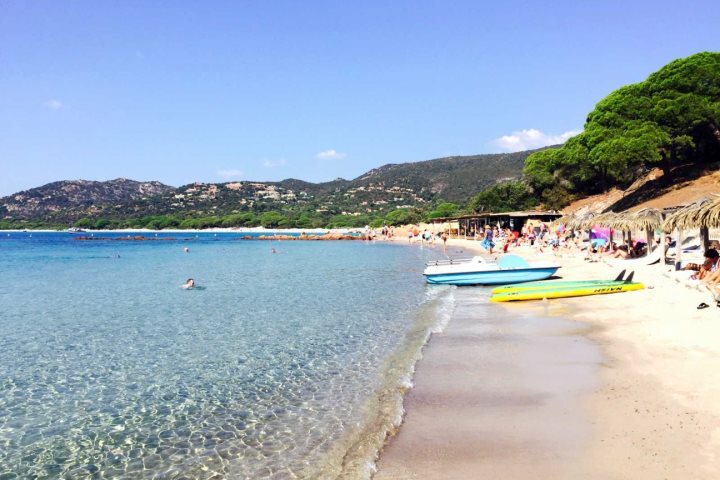 Another stretch of coastline boasting clear water, and a long expanse of golden sand, Campomoro Beach on the west coast of Corsica offers families good snorkelling opportunities, a water sports centre and some tasty beachside restaurants. As possibly one of Corsica’s most famous beaches, if you find yourself in the south east of the island it’s well worth a visit. Clear calm waters and white sands are protected by red granite rocks, and a small selection of bars and restaurants provide refreshing beverages and a welcome break from the sunshine. Boat trips – there are plenty to choose from all around the island, and some pretty magnificent views come with them. Quad biking – again there are numerous sites around the island where you can have some fun and explore the maquis. Canoeing – embark on a family day out on the water (it’s always advisable to check weather conditions beforehand). Snorkelling – many Corsica’s beaches offer plenty of marine life to swim around with – particularly those along the west coast. 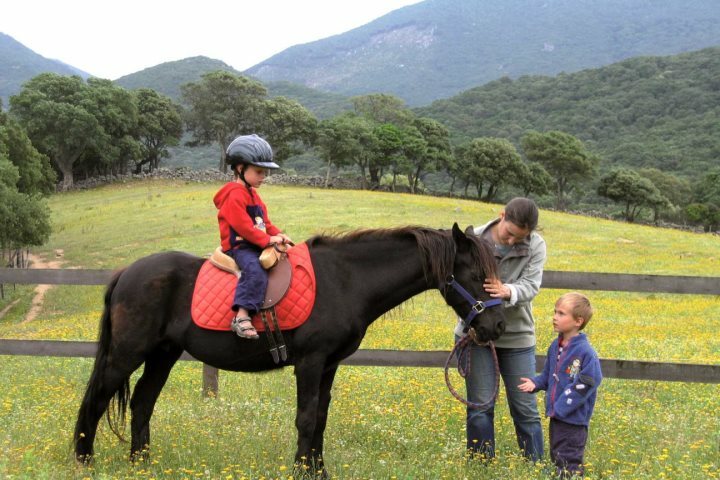 Horse riding – enjoy a family day out on horseback whether you’re experienced riders or complete beginners. There are some good pony trekking companies in the south of the island. Why book your family holiday with Corsican Places? We have on the ground representatives who will support you as much or as little as you need. Sometimes it’s not ideal to be sifting through tens of properties to find something that’s family friendly and safe. So, we’ve done the work for you – we’ve filtered our extensive range of accommodation to those suitable for families, and picked our top three properties ideal for a family holiday in Corsica. 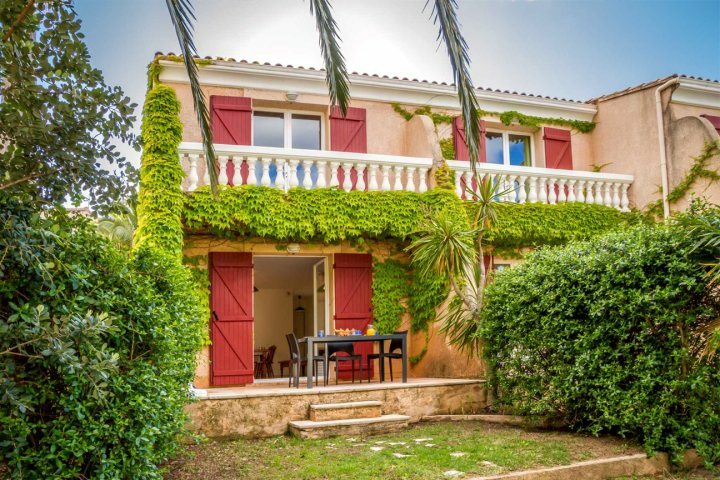 A small collection of two-bedroom houses which are located just a 10-minute walk from the hustle and bustle of Calvi and its superb beach. These self-catering houses have everything you would need – front and back private terraces, spacious open/plan living areas, good sized kitchens and both bedrooms and the bathroom are on first floor. The large shared pool is enclosed all the way around so it’s safe for the little ones, and well-kept gardens provide ample space for the kids to play. A perfect choice for larger families or groups, Villa Horatio is a wonderfully stylish five-bedroom villa, with superb views down towards Calvi and the coast. It’s a great choice for al fresco dining, splashing around in the pool and exploring the local area. Plus, you have a selection of restaurants and Arinella Beach less than 2km away if you want to go out and about. If you’re looking for a base to spend some quality time with your family, a holiday at Casa di L’Olivu is the perfect example. Sleeping up to four, this bergerie style property is set in peaceful grounds surrounded by olive trees, and boasts a private pool and beautiful garden. Exploring the south of Corsica is highly recommended from here, and you’re within reach of the likes of Palombaggia and Santa Giulia – two of the most beautiful beaches in the south. Tempted by a family holiday to Corsica? Visit Corsica.co.uk/family-holidays for more information.